Former Member Legislative Assembly (MLA) of Congress from Delhi Amrish Singh Gautam said on 3 April, 2017 he quit the Congress to save his self-respect. Ahead of the forthcoming Municipal Corporation of Delhi (MCD) elections, Amrish joined the Bharatiya Janata Party (BJP) in the presence of BJP's vice-president Vinay Sahasrabuddhe on 3 April, 2017 at State BJP headquarters. Elaborating his decision to join the BJP, Amrish told ANI he quit Congress due to the 'utter neglect' of party workers. "Even I was made to wait for more than eight hours at the doors of Congress leaders entrusted with power of finalising the tickets for the MCD polls," lamented Amrish. Amrish is a three-time MLA and has represented Kondli and erstwhile Patparganj assembly seat. He was also the deputy speaker of the Delhi Assembly. 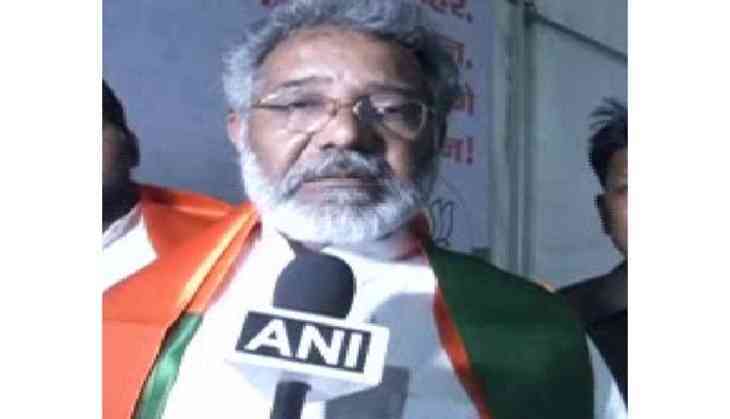 "I joined the BJP because the state Congress leadership ignored the winnable party workers and politicians while distributing tickets for the MCD elections," said Amrish. "By doing so, the Congress leadership also ignored the interests of the voters," he added. The Congress also didn't give mandate for the MCD polls as per its pre-poll survey. Ahead of the MCD polls, Delhi has become a sign of worry for the Congress ahead of the MCD polls as its other senior state leaders are also voicing their unhappiness openly. Delhi Congress leader A.K. Walia has reportedly offered to quit the party as he is upset over ticket distribution by the party leaders ahead of the MCD polls and alleged that the ground work by party workers was overlooked. Walia has been a member of the Delhi Assembly for four terms, representing Laxmi Nagar, and had served as Health Minister in the earlier Congress-led Delhi government. Former Member of Parliament (MP) from Delhi Sandeep Dikshit and former Delhi Pradesh Congress Committee (DPCC) president Arvinder Singh Lovely also maintained that the kind of the treatment meted out to the senior partly leader is not at all correct.